Use the CTOS Business Directory below to search for the company you’re interested in. If you’d like to obtain a company credit report, please fill up and submit the form and our Business Development Officer will contact you. 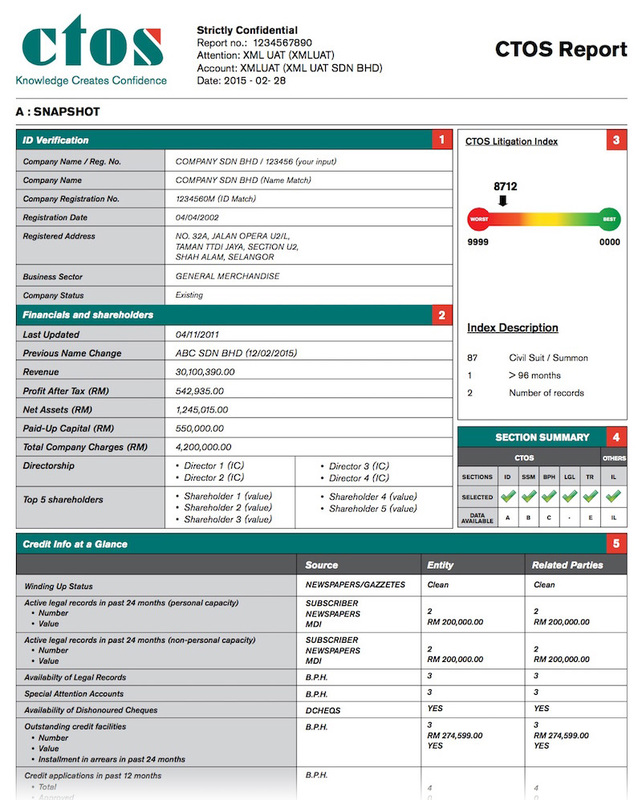 A CTOS company credit report contains detailed information such as company registration information (SSM, ROC and ROB, including extensive coverage in East Malaysia), banking payment history, litigation and trade reference records that can help you make important business decisions, especially when it comes to extending credit. A & A ARCHITECTS SDN. BHD. A & A AUTOMOBILE WORKSHOP (M) SDN. BHD. A & A BAIDURI SDN. BHD. A & A CONCEPT DESIGN & CONTRACT SDN. BHD. A & A COPY TRADING SDN. BHD. A & A DINAR SDN. BHD. A & A ELECTRONIC SDN. BHD. A & A FUTURE TRAVEL SDN. BHD. A & A ADVISORY SDN. BHD. A & A AUTOMATION SUPPLY SDN. BHD. A & A CORPORATE & PROJECT ADVISORY SDN. BHD. A & A GLOBAL ANGELS SDN. BHD.